Cassie is a sweet and affectionate kitten, with a ton of energy! She loves to play, (tag, wrestling, stick toy chasing) and has yet to find a height she cannot scale to. Originally fostered with 4 teenagers, 3 large breed dogs, and 11 other cats (5 of which she wasn't related to) Cassie is now spending her days at the Alley Cat Cafe. She loves everyone! 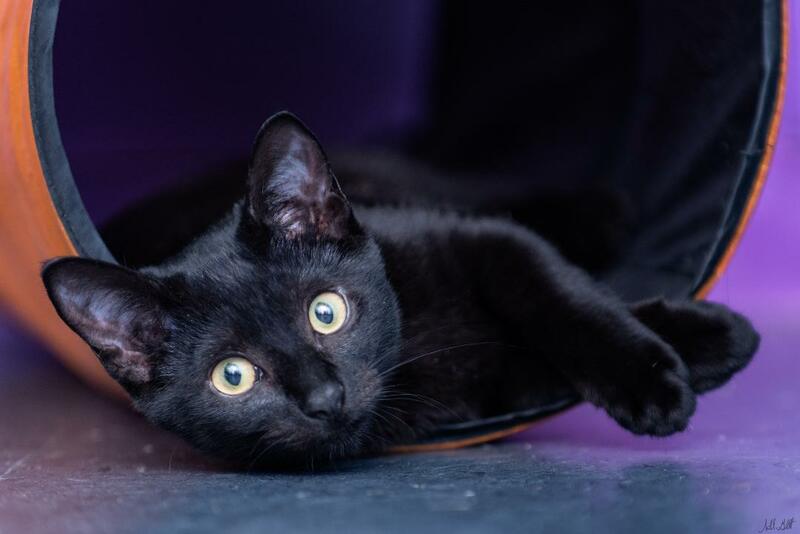 If you are looking for your very own house panther, Cassie is waiting for you!